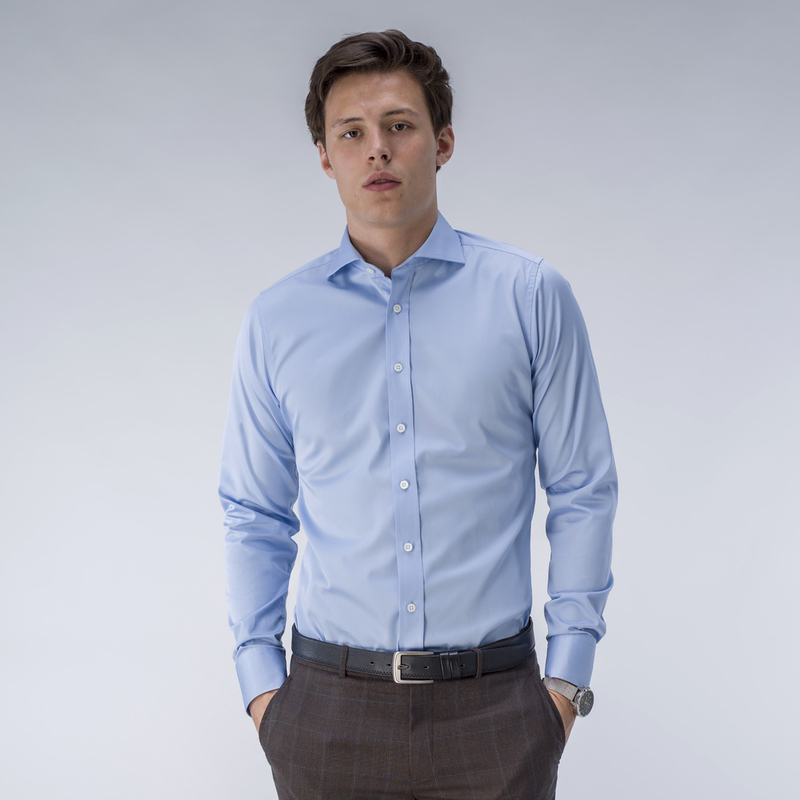 A modern light blue business shirt. 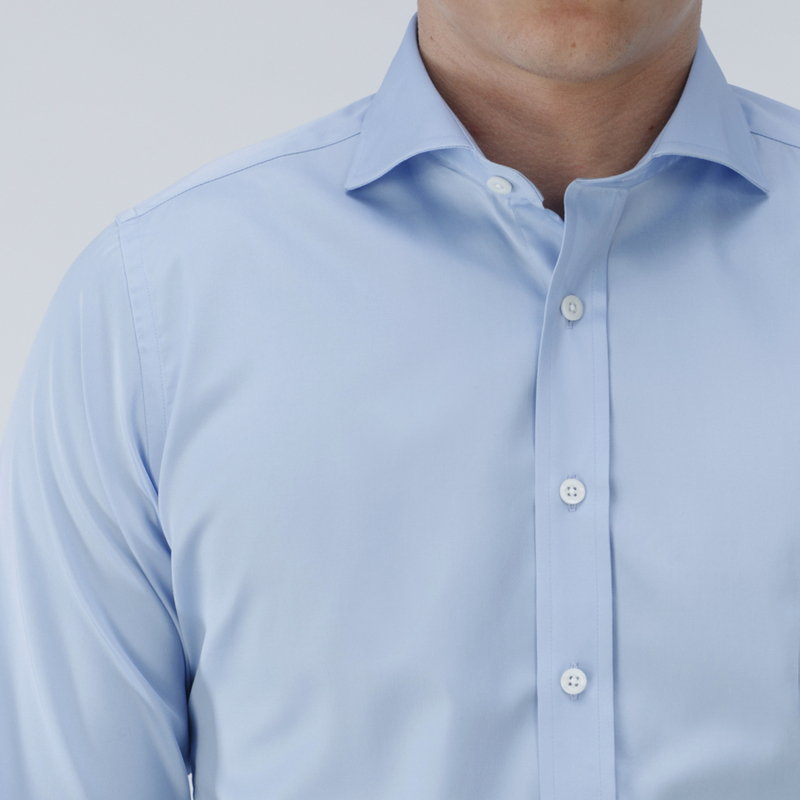 Wear this shirt with a pair of chinos for a classic business look. Order our recommended design or customize it to your preference. Made to your measurements.